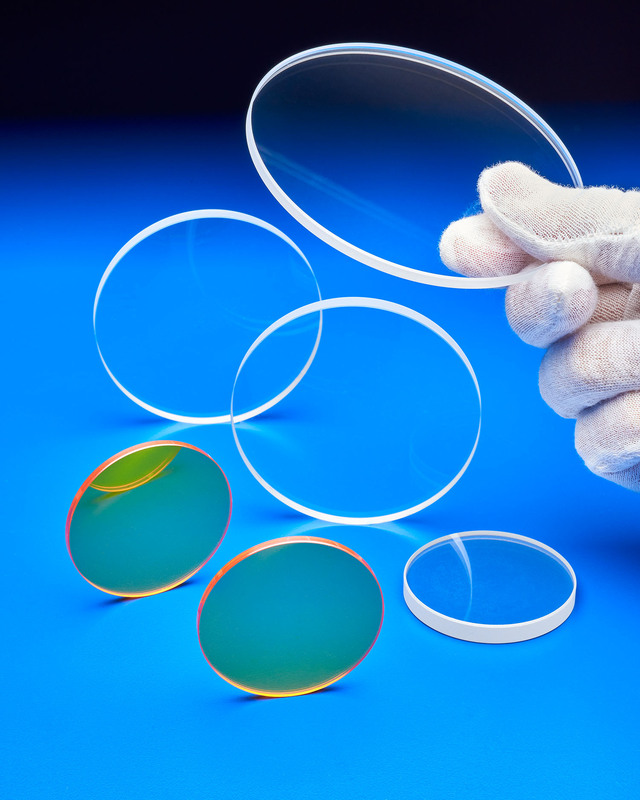 Custom lenses and windows made from zinc selenide, zinc sulfide, fused silica, germanium, silicon, and other materials for a myriad of applications are available from Laser Research Optics of Providence, Rhode Island. Laser Research Custom Optics can be supplied plano-convex, plano-concave, and as wedged-windows in round, rectangle, and square shapes that can include steps, holes, and other special features. Made from ZnSe, ZnS, fused silica, germanium, silicon, and other materials, they are well suited for laser, imaging system, machine vision, and opto-mechanical applications. Manufactured in sizes from 0.5” to 5” O.D. and supplied with various A/R coatings, as required, Laser Research Custom Optics can be fabricated in a variety of thicknesses with typical dimensional tolerances of ±0.001 to ±0.005”. Conforming to ISO-10110 specs., surface finishes of 10 waves to 1/10th wave flatness and 10-5 to 80-50 scratch-dig can be provided. Laser Research Custom Optics are priced according to material, configura-tion, and quantity. Price quotations are available upon request.